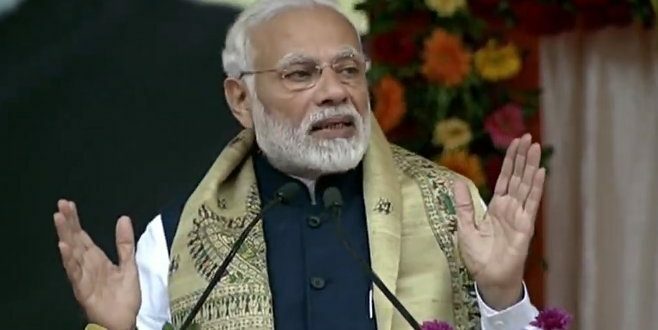 Bhubaneswar: Prime Minister Narendra Modi on Saturday exuded confidence that the Bharatiya Janata Party (BJP) will win the upcoming elections in Odisha. Modi took to Twitter and said the elections results in Odisha would surprise the entire nation. BJP would win the ensuing elections with record numbers. The people in Odisha will reject both the BJD and the Congress this time, he added. Modi is scheduled to address two election rallies in Sundergarh and Sonepur on Saturday. BJP president Amit Shah will campaign for party candidates in Odisha as well. Shah would attend the BJP’s Vijay Sankalp Samabesh at Polsara and Bargarh on Sunday.